This is an authentic, antique map of Tokyo. The map was created by an anonymous source in Japan circa 1861. 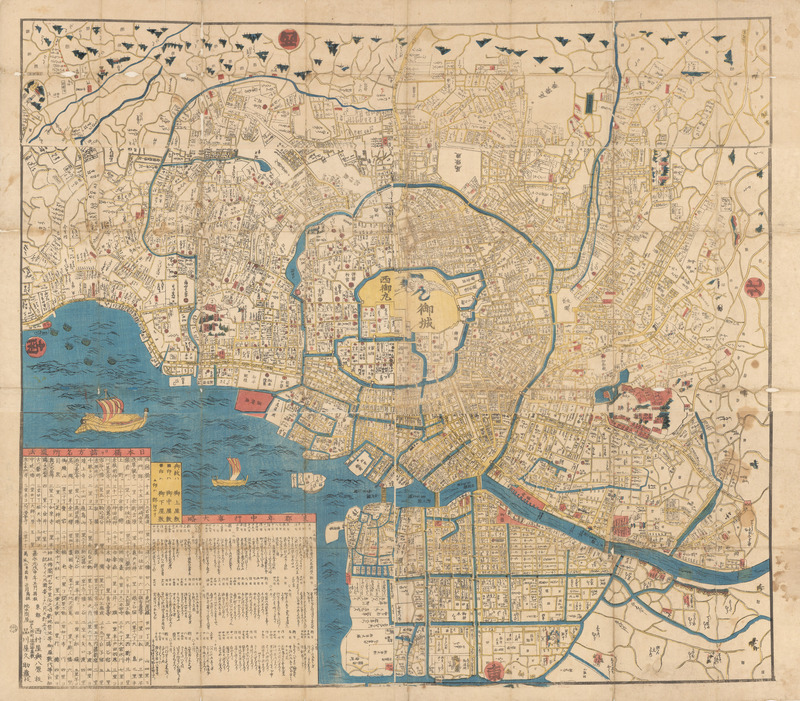 This colorful and highly detailed woodcut map of Edo, or Tokyo shows streets, docks, waterways and bridges. It is centered on the Imperial Palace (Chiyoda Castle) and Asakusa Sensoji (Tokyo’s oldest temple) and identifies many other buildings, temples, and shrines. With no specific directional orientation, the map and text within seem to radiate around the Imperial Palace. Even the trees appear upside-down or sideways when the map is viewed from one angle. The map is adorned by two traditional sailing boats occupying the Sumida River. A fascinating work of Japanese craftsmanship made with both practical and decorative intentions. The map includes a 5 x 13" extension that has been removed.